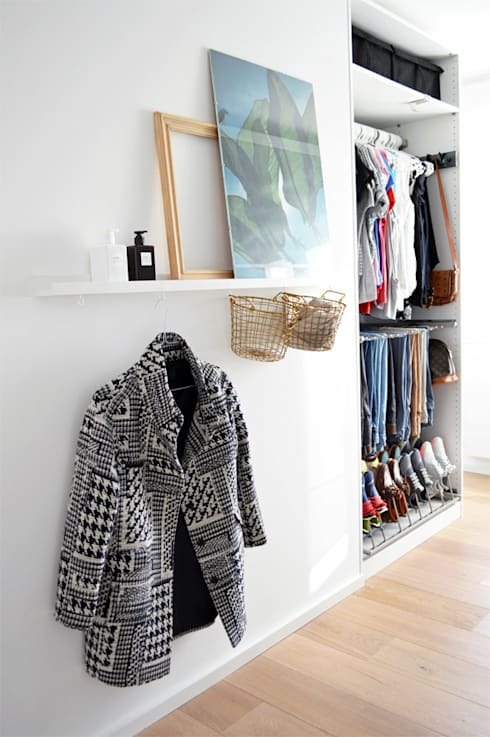 It may be a cliché, but it's definitely well worth getting out of the closet when it comes to storing and hanging your clothes. This is particularly true if you live in a small home and find yourself scrambling for storage space. When you consider the huge variety of shapes and objects to be stored in the common closet, it's no wonder that bedroom storage ideas have exploded in recent years. The truth is that some items will simply not get used if they are hidden away in a drawer—and that doesn't even consider the crinkle factor! 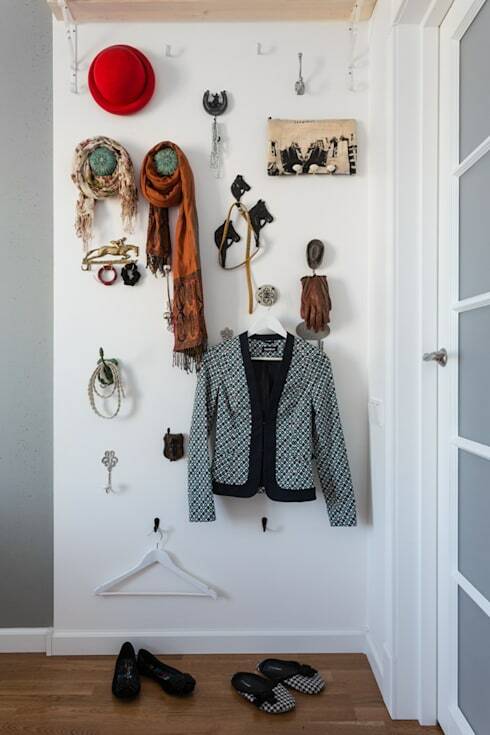 So come with us to explore 10 original ways to store and hang your clothes. There's something here to suit every bedroom. 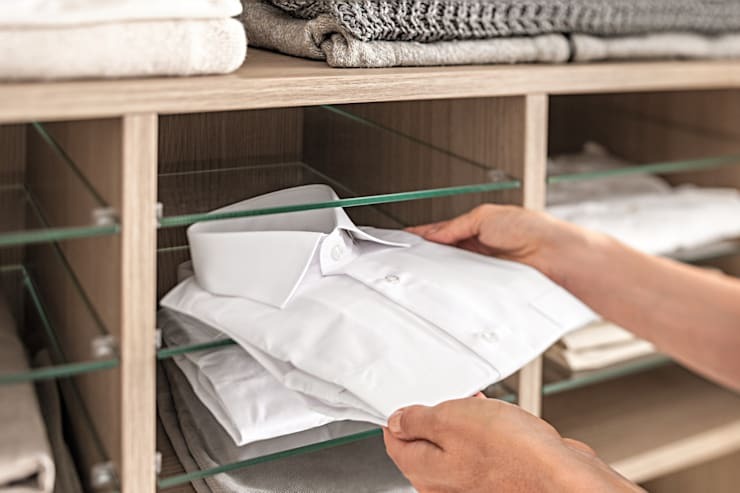 Not the first way you'd think to store clothes, but neat, organised boxes are perfect for non-creasable garments, not to mention towels and spare bedding. 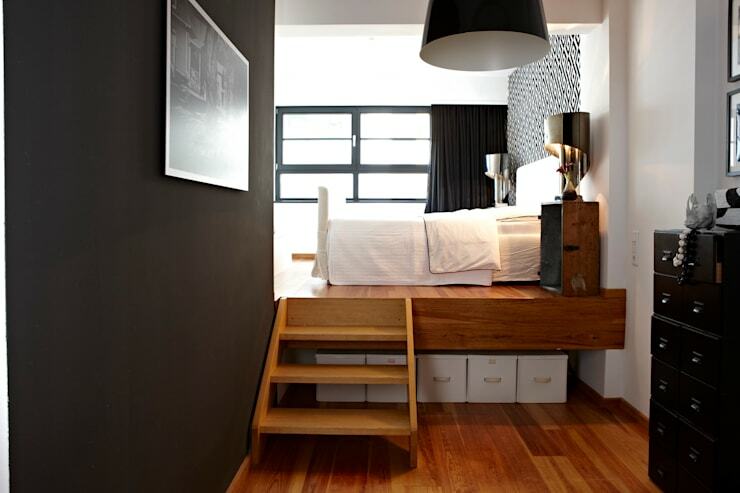 Utilising this valuable under-bed space is also a must in any small home. Upcycled items are a fabulous choice because they add a lot of character and warmth to your bedroom. 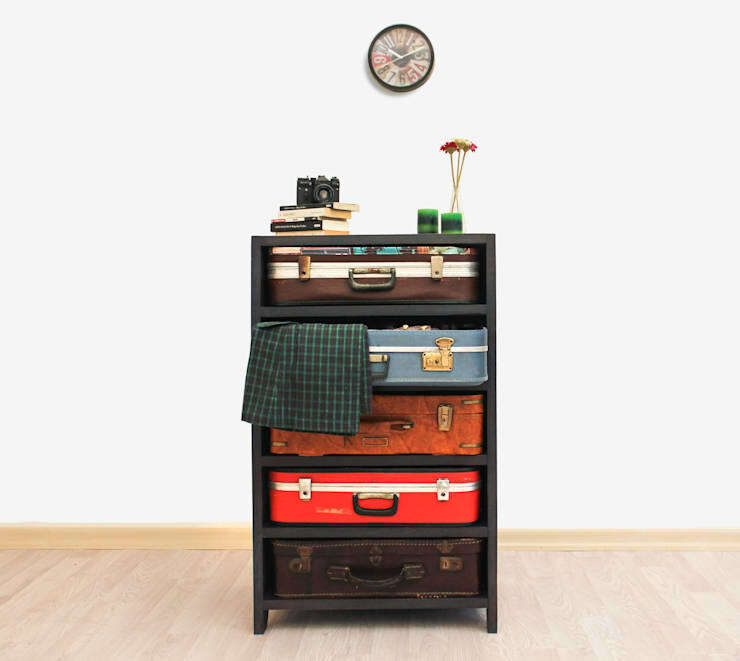 In this unusual storage solution, the suitcase covers have been removed and turned into shelves! Little rows of hooks are a little ho-hum. Consider creating an entire wall filled with an eclectic hook collection at differing heights. It will turn your favourite accessories and jackets into an artistic display! Open storage is often a great way of making the most of every bit of space in a small home. But many people are wary of having everything on display. A series of long beautiful drapes like this are a good alternative. They can just be pushed to the side when needed. Shoes are often the most troublesome items to store. They tend to form in piles on the bottom of the closet and can easily introduce particles of dirt into your clean spaces. Dedicated shoe storage is always helpful and this slide out shoe closet is a good approach. It's the perfect size and can be accessed on both sides. Why not give your home a little boutique style glamour with some glass shelves. They could be reserved for storing your most delicate of clothes. This kind of set up would look perfect with some stunning shelf lights. This solution is certainly one for shoe fanatics. If you love your shoes that much, put them on display with a shelf that zig-zags through the room. Then light it up with strip lights. 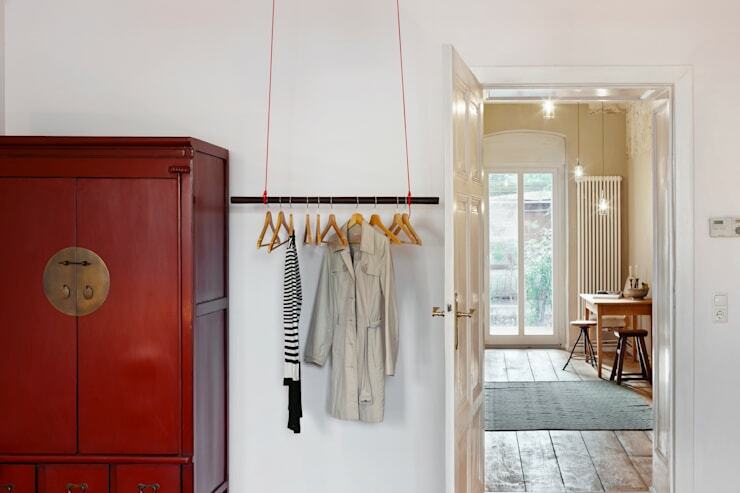 Put your favourite clothes on display with a hanging shelf suspended from the ceiling. It will give your home a minimalist airy touch and add some decoration to the room. 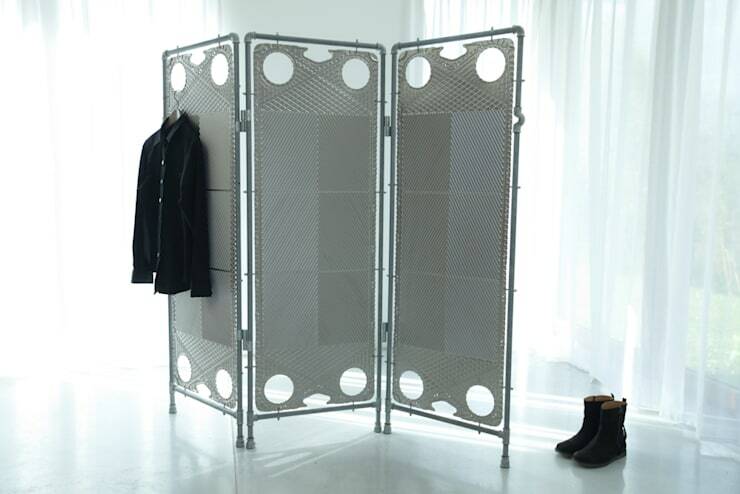 Folding screens are a good addition to the bedroom because they can be used as a change room and storage solution as well. Just add a series of coat hangers to the top. You might even drape a collection floaty scarves across the top to create a bohemian look. The best approach to storing clothes involves a good combination of open and closed systems. This fabulous closet by interior architects Famm design has a huge variety on display. It even has space for two different types of shoes. If you're on an organizational spree, this Ideabook is sure to sate your appetite! 5 simple ways to declutter your home. Which of these unusual bedroom storage ideas interest you? Let us know in the comments field below!